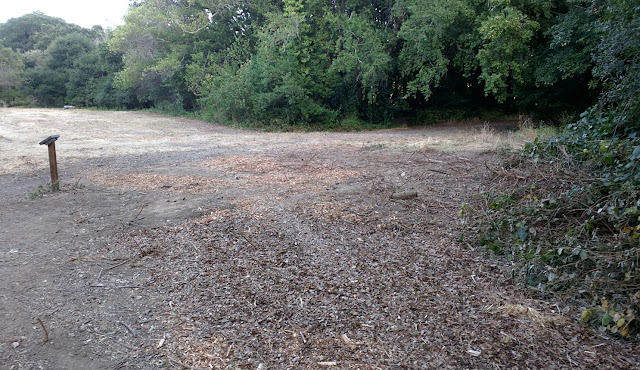 A huge patch of Blackberry Bushes (1000sf+) in Marinwood Park was removed on June 17, 2016 at the height of the Nesting Season in violation of the Migratory Bird Treaty Act which protects almost all species of birds (not just migratory birds) during nesting season. After appeal to the Marinwood CSD to acknowledge the damage, restore the scarred earth and train the staff in sustainable landscape management, we were met with a resounding refusal despite the violation of several laws. The Marinwood CSD was founded to manage the parks and openspace, fire service and streetlights. It is fundamentally unacceptable that the Marinwood CSD ignore their responsibility to the parks. Send a letter today to Eric Driekosen, General Manager at edreikosen@marinwood.org and request Responsible Sustainable Practices for our parks and open space. should not have their parks treated like a a construction site.